Ring currently finds itself embroiled in controversy, with reports indicating that employees had unrestricted access to all camera footage until as recently as May 2018. While Ring denies this, saying staff only accessed publicly-shared videos in Ring's Neighbors app, the news has a lot of people on edge. That being said, Ring's products were best-sellers in the 2018 holiday season, and if you can look past the unpleasantness, Ring video doorbells are a quick way to get started with a smart home security system. Home Depot is having a one-day sale on Ring products, including a bundle of the Ring Video Doorbell 2, Chime Pro, and Floodlight Cam, where you can save 30% off of the products' individual prices. The Ring Doorbell 2 is a newer generation of the original doorbell that kick-started Ring to fame. It's weather resistant, has two-way audio, and gives you a 1080p stream of your front door, letting you catch package thieves in the act. When someone rings the bell, you get an alert on your phone, but since having an audio alert somewhere in the house can also be useful, that's just what the Chime Pro add-on enables. To give you a 24-hour view of the exterior of your home, the Floodlight Cam has two ultra-bright LED floodlights and a 110-decibel alarm, along with a wide-angle camera. Bought separately, you would be spending $488, so the bundle will save you a cool $146. 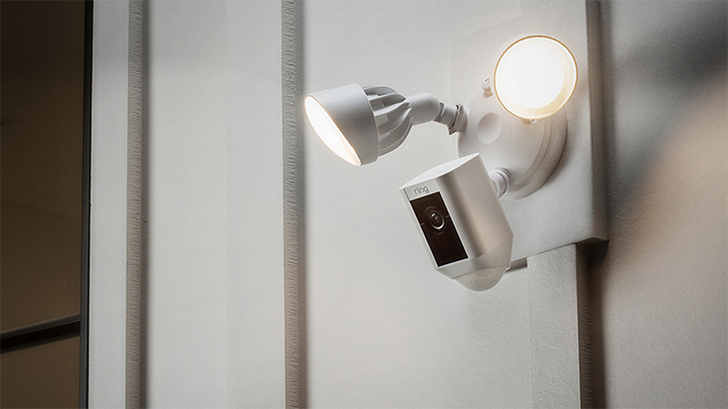 The best price we've seen on the Doorbell 2 is $150, and the lowest the Floodlight Cam has dropped to is $190. Even at those prices, this bundle saves you an extra $50. Home Depot also has a two-pack of the Floodlight Cam for $336, a savings of $112. One caveat with Ring products is that you should be ready to pay a subscription fee if you want to store footage on its cloud; there isn't an option to store videos locally or on your cloud storage provider of choice. If that isn't your cup of tea, something like the upcoming Netatmos video doorbell may be a better option. Otherwise, this a good deal on a best-selling product by Ring, and it expires at midnight PT.